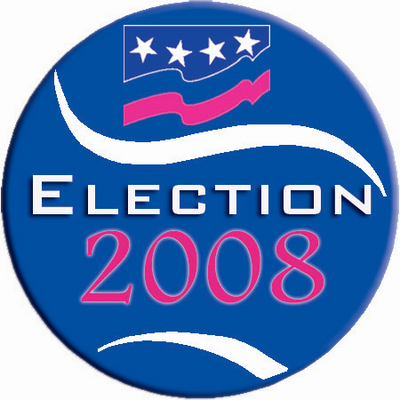 The Communist Party USA views the 2008 elections as a tremendous opportunity to defeat the policies of the right-wing Republicans and to move our country in a new progressive direction. The record turnout in the Democratic Presidential primary races shows that millions of voters, including millions of new voters, are using this election to bring about real change. We wholeheartedly agree with them. While we do not endorse any particular candidates, we do endorse and join in the anti-Bush/anti-right wing sentiments that are driving so many people to activism. The fact that the Democratic frontrunners are an African American and a woman speaks volumes on how far the country has come. Hillary Clintons campaign has attracted large numbers of supporters, especially women. Other Democratic contenders presented some excellent proposals to reverse the devastation caused by the Bush administrations policies. Barack Obamas campaign has so far generated the most excitement, attracted the most votes, most volunteers and the most money. We think the basic reason for this is that his campaign has the clearest message of unity and progressive change, while having a real possibility for victory in November. As we see it, however, this battle is bigger than the Democrats and Republicans, even though those parties are the main electoral vehicle for most voters today. Our approach is to focus on issues and movements that are influencing candidates and parties. We will work with others to defeat the Republican nominee and to end right-wing control of the new Congress. The activism growing out of this election will help guarantee a progressive mandate no matter who is elected. It is critical to our countrys renewal and future. We think this election is a great opportunity to bring an early withdrawal of US troops from Iraq. It can mean job creation and relief for those who are losing their homes or unable to pay their bills. This election can set the stage to advance the interests of working people; of those excluded because of race, gender, sexual orientation and immigration status. This election can begin to turn the tide: it can help bring universal health care, save the environment and start the restoration of our democratic rights. This election can strengthen democracy for all. In the long run, we see the need for an independent peoples party — an electoral party that will unite labor and all democratic forces. We also are working for a political system and government whose priority is to watch the backs of working families, not fill the pockets of the corporate fat cats. Our slogan, people before profits and our goal of Bill of Rights socialism say it all. Welcome to the NEW People’s World online!